I had a very traditional English supper for my last night out. 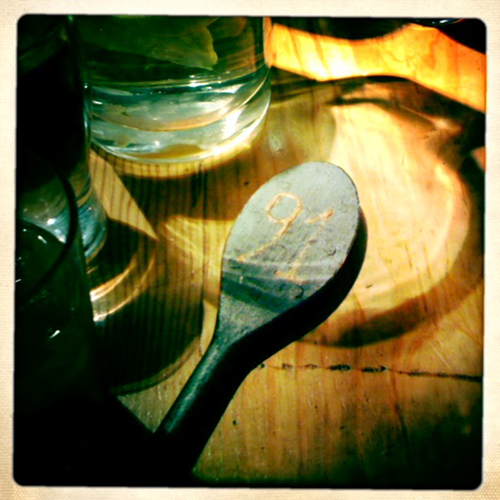 We had a spoon with a number on it so they knew where to bring the food. 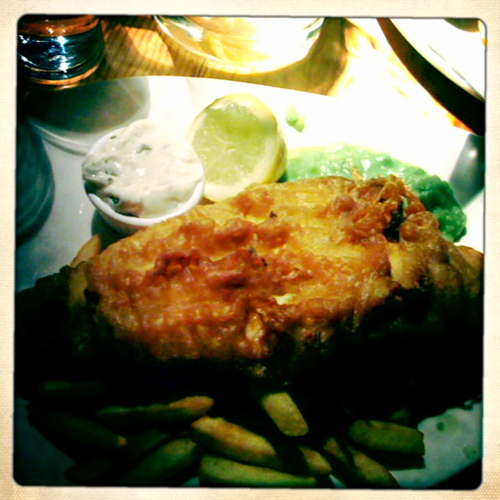 Very good fish and chips. And malt vinegar. 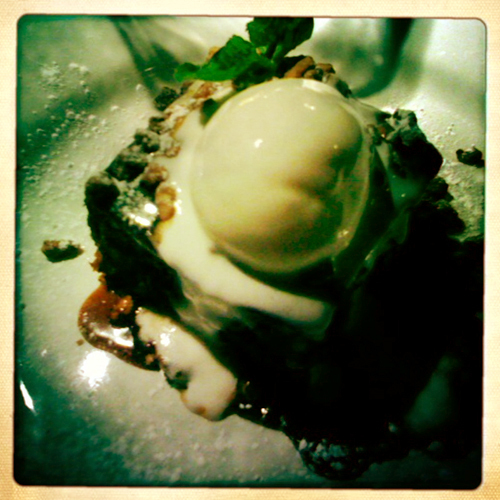 Sticky toffee pudding to top it all off. 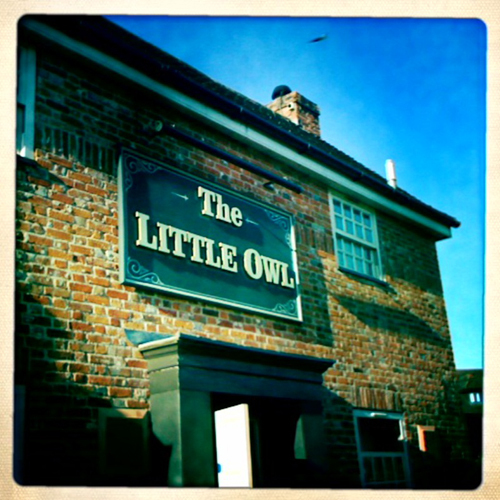 The Little Owl -- love it! Wouldn't mind having a taste of sticky toffee pudding, but will have to stay away from traditional bangers and mash! Neat photos... looks like you were there in the 1960's. Very cool!